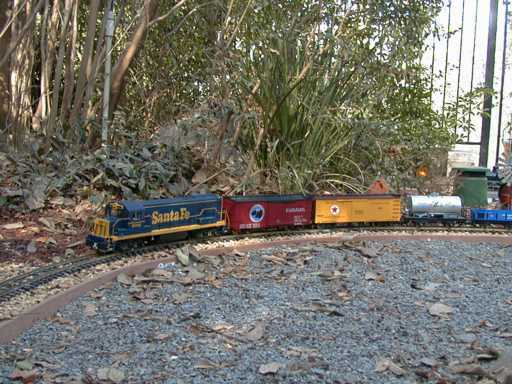 Several of the members of the club also dabble in large scale trains even though these trains are much smaller than their main interest. A lot of the members kids also come to run the large scale trains while their dads are playing with even larger trains. 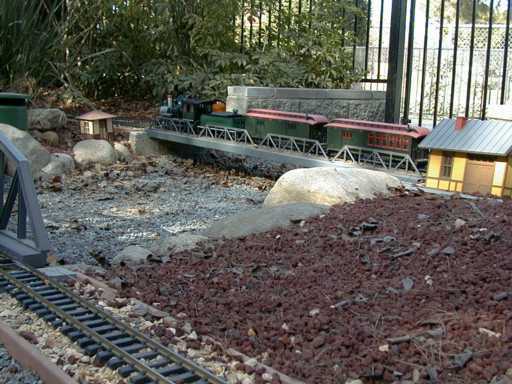 Up on a small hill above the park, a small large scale train layout had been built in 1999. There are two separate loops set in the decomposed granite that is the main soil type at the site. I was told that the large scale layout was not built for the kids, but there sure were a lot of kids around and in it. Over the summer of 1999, the large scale lines were moved to the roof of one of the old car barns as the hillside location was prone to track damage. 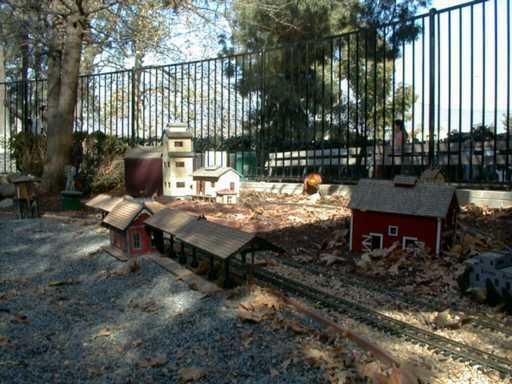 The large scale trains have been moved to a permanent home in a garden area adjacent to Sherwood station. The public can view these trains through the fence. Club members can enter inside the fenced area. The line is pretty simple. There are two disconnected nested loops, each with a passing siding and one or two stub sidings. Between the two loops, a collection of buildings has been placed. 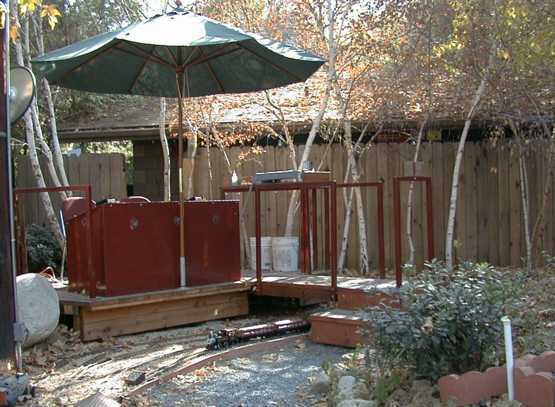 The trains are controlled from a substantially built control stand placed in one corner where it has a good view of the entire layout. The trains run under an access bridge so that the operators can access the tracks. 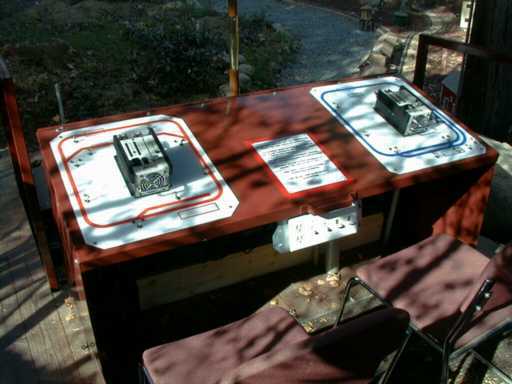 The layout is run from this dual control station, each powered with a Bridgewerks power pack.